Drivers need to make sure they are carrying a safe load. Improperly positioned freight can result loss of life, damage to vehicle, a crash, issuance of citations/fines to driver/carrier company, and out of service issues. They can also result in damages that have the potential to cause a significant loss of value to the load, and consequently, the potential for additional costs. Anything and everything carried on a truck must be properly secured to prevent loss of control and falling cargo from causing injury. Drivers must follow the North American Cargo Securement Standard Model Regulations. These regulations apply to all types of cargo, except commodities in bulk that lack structure or fixed shape. Safe cargo securement principles and regulations apply to every single bill of lading item carried on the truck; and, they also apply to dunnage, tools, and items such as shovels, blocks, webbing, chains, spare tires, brooms, forklifts, pallet jacks, winches, or ratchets that drivers need to complete the job. All must be secured! 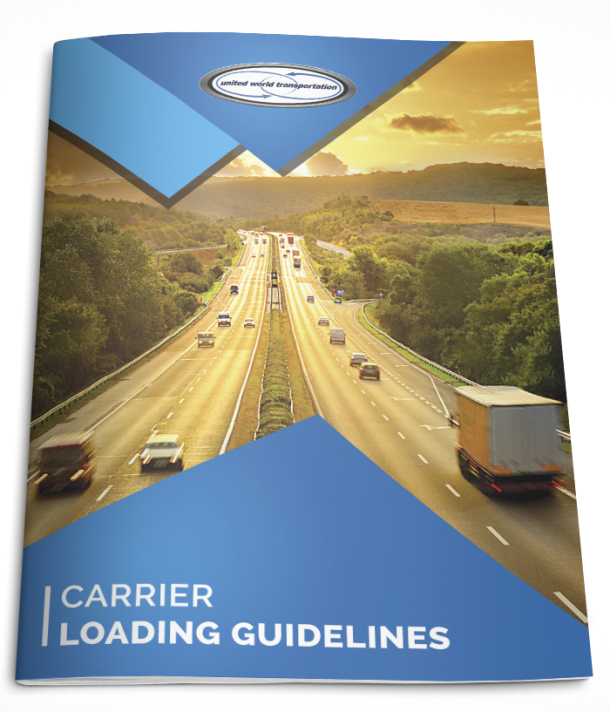 There are many cargo securement best practices drivers can follow to improve or maintain their good driving record. In refrigerated produce shipments, load locks (along with proper loading techniques) are one of the most important tools to ensure that cargo is loaded and secured properly for transport. Verify that rear doors close securely. Examine inside of trailer to ensure that cargo is properly secured. Check cargo securement devices for proper number, size and condition. Load locks are commonly used to secure cargo; they are telescoping bars that have ratcheting mechanisms inside and are typically made of steel or aluminum. To set load locks into place, you telescope the bar until the ends contact the walls or the floor and the ceiling, then flip the tension handle to lock it in place. It is advised that drivers have 3 to 6 load locks that are in good working order. Make sure that you have 3-6 load locks that are in good working order available. It is recommended that 2 load locks be placed between the floor and the ceiling on the left side of the rear pallets – this is because all vehicles on the road lean slightly to the right due to the road’s center crown, and pallets are therefore stacked slightly to the right of the trailer to minimize shifting. It is also recommended that 2 load locks be placed on the back of the rear pallets between the trailer’s walls. Remember that it is always advisable to have a minimum of 6 inches of space between the back doors and the load to allow for adequate air flow. A monthly inspection is advised to ensure that all load locks are operating effectively and are not rusted or otherwise broken. Don’t get you and your load locks jammed up at time of loading! Use best practices or due diligence. Remember that rules are established for a reason. Ensure your load is contained, immobilized or secured so that it cannot: (a) leak, spill, blow off, fall from, fall through or otherwise be dislodged from the vehicle, (b) shift upon or within the vehicle to such an extent that the vehicle’s stability or maneuverability is affected, or (c) shift to an extent that damages the product and therefore causes a loss of value to the load. So, the moral here (once again) is be prepared; prevention is always the best way!